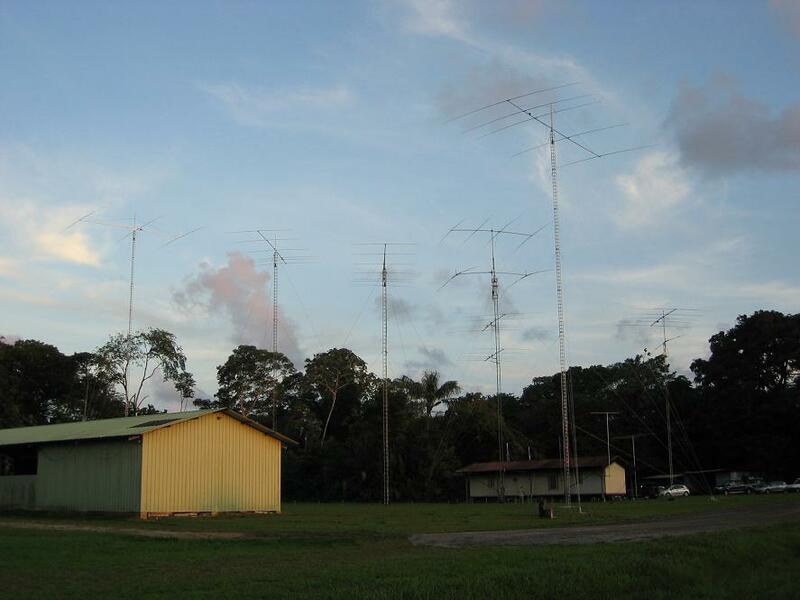 The Radio-Club of Kourou in French Guiana, named RACK, was again this year 2014 actived in the French SSB contest. 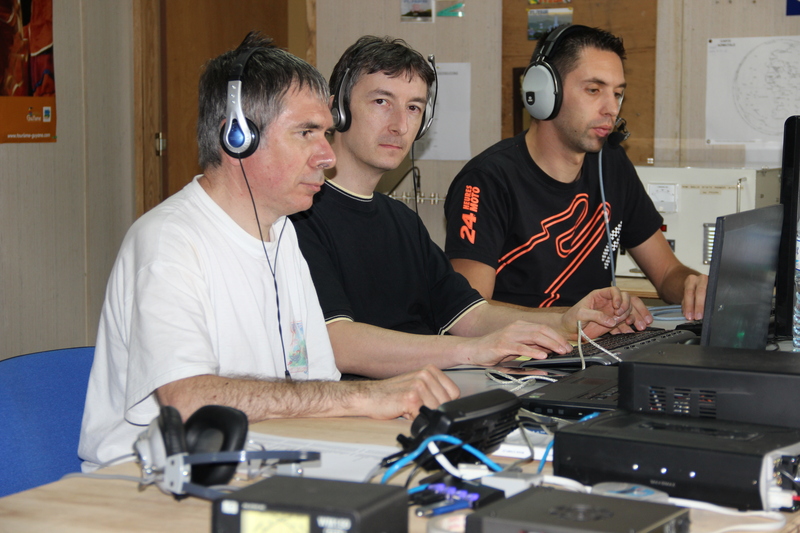 In 2013, the two operators was Fredo FY4PR and Bruno FY8DK. Bruno has since left Guiana. I volunteered to participate myself with Fredo. The “chance” of schedules of professional missions will ultimately enabled us to meet three amateur at the club : FY4PR , FY/F5UII (departement 68) and also FY/F5HHW Christophe (departement 27). For 80m , the slopper is repositioned. In order to improve the reception signals on this band, a beverage receiving antenna of 120 m long is installed on Friday afternoon in direction of Europe. The rain that has surprised us, finally stopped in the late afternoon, allowing the completion of the installation before the night (and without being soaked). In the week before the contest, some “pile-up” with my FY/F5UII call, especially with U.S. stations have allowed me to rework my ears… and find that the reports are always comfortable and QRP stations all their chances with these antennas. For the contest , we will use Fredo’s transceiver, a FTDX 3000 in main station. Amp side, we will use the transistor amp that Fredo just built itself and finalize lasts weeks. A wonderful execution that will without fail, or decline, throughout the contest. Software side, we use of course the inevitable Win-Test in its latest version 4.12 . The PC is connected to the serial port of the transceiver to not miss the band changes in the log when QSY. The radio club is arranged on Friday afternoon. Appointment is given to the team at 2:00am (local time) to get ready to start the championship at 3:00 local time. We ‘re ready to start on 40m. F8ATS the station opens with us the show at 06:00 UTC. The French, European and American stations (among others) are present and keep coming. The rhythms are an average of 120 hours per QSO during the first 12 hours, with a peak at 172 QSO / h at 17 hours UTC. The pace is slowing recess in the evening and night, but there is still respondent on 20 m and 40m . We know it is better to continue 40m to reap points from U.S. stations and some from French stations. 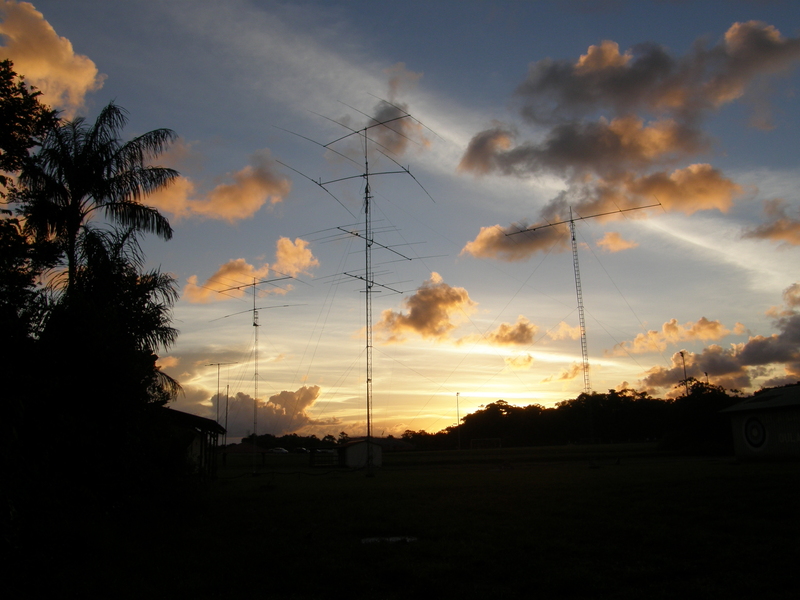 Indeed, the DX QSO is actually harder on 80 m where we will have finally managed to contact 23 stations , including 18 departments in the night. The second day is less rhythmic. We will strive to improve the numbers of multipliers of the strip 15 meters, which is below the other 10 and 20 meters bands . But the band really well open finally is 10 meters on which we will finish the contest from 16:45 UTC. We decide to unstack the American stations, and return regularly in the direction of Europe and France, to find the 15 points awarded by the French stations. The pace then awaits his record to 178 QSOs per hour. The last station in the log is K6JU. It is 6:00 p.m. UTC. The contest is over. Christophe , Fredo and I open the cans of fresh Schweppes and Coca to celebrate ! The “claimed score ” displayed on wintest is 14,416,524 points. The pressure goes down, tirednesswin the boy. After storage of the beverage antenna and all the equipments in the station, we will all take a strong well-deserved rest. 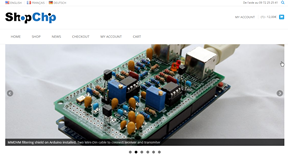 Next → Next post: (Français) Comment monter un relais avec SvxLink et un Raspberry Pi ? Bravo à la petite équipe ! 14 Millions ! ça fait réver ! !